One of our biggest partners doesn’t just support us on land – they’re also busy raising money for us at sea! Our partnership with luxury cruise line and Platinum Patron of The Trust is certainly one of a kind. On land and at sea, Cunard has shown huge dedication to supporting young people. Our journey began in December 2007 when HRH The Duchess of Cornwall, in the presence of HRH The Prince of Wales, named Queen Victoria – Cunard’s latest ship at the time – in Southampton launching also our partnership. Over the past 10 years, Cunard has raised a phenomenal £2million, supporting over 2,000 young people. Leaving no stone unturned, Cunard has created the most innovate ways to fundraise for The Prince’s Trust, engaging crew on board, teams at Carnival House, Cunard’s Head Office in Southampton, and guests across the world to support and spread the word about our work. To celebrate our 10th anniversary Cunard's annual bear which is exclusively sold on board, was named after our founder. ‘Charles the bear’ was also the inspiration behind Charles’ Grand Adventure, a beautiful picture children's book designed by Cunard’s talented Million Makers team to raise more money to support young people. We were thrilled when Portsmouth Team 107 won a Prince’s Trust Award in the Community Impact category. 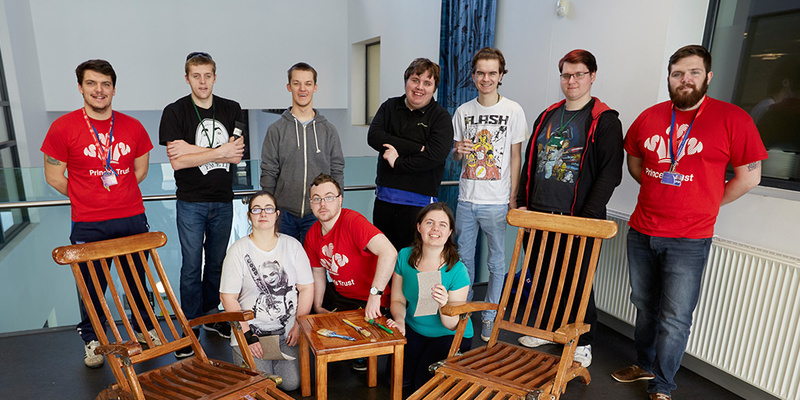 As part of their project the group upcycled a set of deckchairs from Cunard’s flagship Queen Mary 2 that are currently be auctioned with all the proceeds going to supporting our cause. We are delighted to continue this exciting partnership, supporting more young people along the way, enabling them to change their lives for the better. A huge thank you to everyone at Cunard. We have been blown away by the commitment of teams both on land and at sea, going above and beyond to drive the most innovative fundraising ideas and deliver inspiring workshops to support young people. As we reach an impressive £2million milestone and celebrate 10 years of working together a big thank you is in order and we can’t wait to see what the future holds. Cunard’s fleet of three magnificent ships comprises Queen Elizabeth, Queen Victoria and Queen Mary 2, the only true ocean liner in the world. Cunard will welcome a fourth ship in 2022.